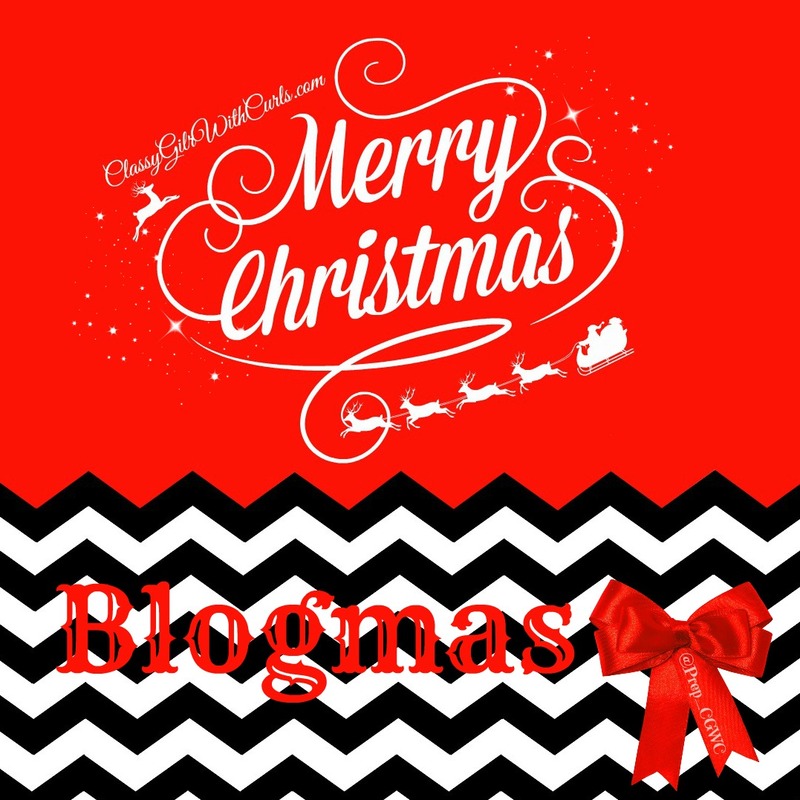 Blogmas Day #4: My Christmas Wish List! 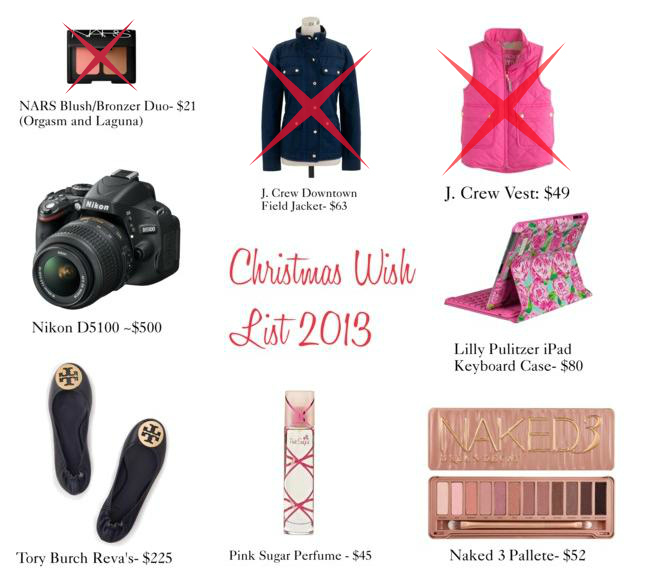 The Vest, Jacket, and Duo are crossed out because I already know that I will be getting them for Christmas. I got the Jacket and Vest for a steal on Black Friday. You can see some of the major deals I scored here. My aunt told me that she is getting me the NARS duo too. This is probably the only thing that I really really really want. I feel as if I could wear these for many years to come and they would be a great investment when I transition into more professional wear. Originally I was asking for the Naked 2 but the Naked 3 just came out! I instantly fell in love with the colors. I can tell that I would be wearing these daily! So pretty. I want to expand my horizons and try a new perfume. This has been recommended to me by numerous friends. It’s a strong vanilla sugar scent (which I adore). I’m trying to branch out from my classic Viva La Juicy. I don’t really think that I will be getting this but it’s worth a shot. My friend Lindsey has this camera and it takes beautiful pictures. I feel that if I am going to take blogging seriously I need a good quality camera to last me a long time.